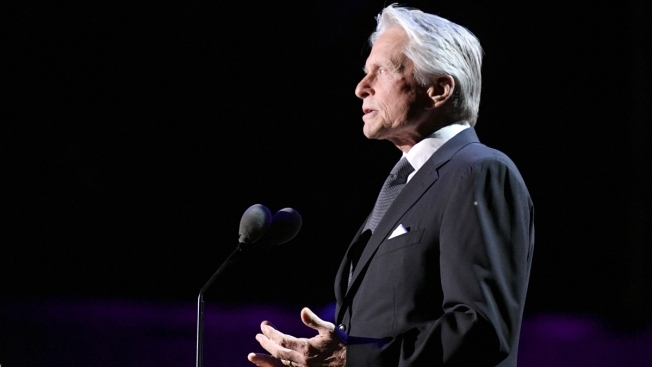 Michael Douglas Preemptively Denies Story of Masturbating in Front of Former Employee: "I Felt the Need to Get Ahead of This"
Douglas claims there is no evidence to prove his alleged behavior and that it is "way past the statue of limitations"
The veteran actor came forward denying private claims from a former employee, whom had worked on development at his company more than 30 years prior, that he had used "colorful" language in front of her, spoke "raunchily" with friends in front of her, blackballed her from the industry and masturbated in front of her. Michael Douglas wanted to get ahead of the story. In an interview with Deadline, the veteran actor came forward denying private claims from a former employee, whom had worked on development at his company more than 30 years prior, that he had used "colorful" language in front of her, spoke "raunchily" with friends in front of her, blackballed her from the industry and masturbated in front of her. He apologized for using "colorful" language. "None of it was directed at her; she didn't say it was. It was my office and that was the tone that I set," he explained, adding that he had worked out of his New York home at the time. "As to colorful language, she may have overheard private conversations, and if she was offended, she could have excused herself." Douglas denied the blackballing allegation, calling it "completely untrue." "I never blackballed her. If people from the industry called me to ask about her, I would have been honest, but I never blackballed her," he reiterated to the website. As for the masturbating claim, "This is a complete lie, fabrication, no truth to it whatsoever," he said. "I pride myself on my reputation in this business, not to mention the long history of my father and everything else," he told Deadline. "I don't have skeletons in my closet, or anyone else who's coming out or saying this. I'm bewildered why, after 32 years, this is coming out, now." Douglas said he first learned of the claims when his attorney contacted him before the holidays asking for comment on the allegations because The Hollywood Reporter was allegedly working on a story about the woman. E! News has reached out to THR for comment. Douglas decided to give the preemptive interview tor the chance to share his own information and have more control over the potential public narrative about him. As he told the website, "I felt the need to get ahead of this." "I had the choice of waiting for a story to come out, one that will clearly get picked up by other newspapers and magazines, and then I have to sit there and try to defend myself. Or, try to share with the public, a little ahead of the story, my thoughts and concerns. Again, I am sorry if I used coarse language with my friends. But this is really debilitating. It can have a large effect on my career. And also, I think it really sends a message out," he said. "Look, I support the #metoo movement with all my heart. I have always supported women, along the way. This is the kind of step that can set that movement back. Being accused, without a chance [to defend yourself] in court. To not even really have the information in front of you, to be able to argue or defend yourself. There is no due process, no chance of seeing evidence in front of me from my accuser. It worries me." Douglas claims there is no evidence to prove his alleged behavior and that it is "way past the statue of limitations." "I'd confess to anything I thought I was responsible for," he told the website. "And it was most certainly not masturbating in front of this woman."